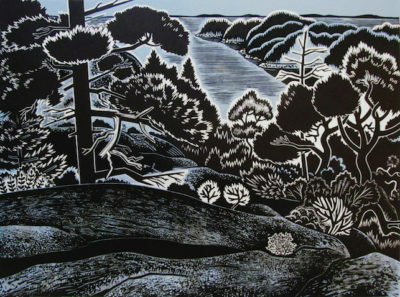 Three Maine communities will host a show of prints by artists from Maine and Aomori, Japan. The traveling exhibition is part of MAPS (Maine-Aomori Printmaking Society) organized by Friends of Aomori as a cultural exchange program, sharing art and artists between the sister states of Maine and Aomori. The show will be on view at the Stonewall Gallery at the Yarmouth History Center from May 1 to July 1; Tides Institute & Museum of Art in Eastport from August 18 to September 17; Chase’s Garage in York from September 30 to October 29.